Calendar: «Truman Day in Missouri». «Always be sincere» illustrated quotation. Harry S Truman, free quote pictures for Facebook, Twitter, LinkedIn, Reddit, Pinterest and other social networks. 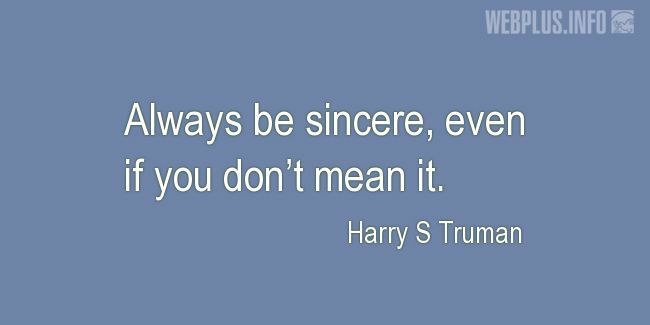 Always be sincere, even if you don’t mean it.